With it’s striking profile, this Eagle Headpiece is an unmistakable image custom made by mask maker Jonathan Becker. It’s piercing yellow eyes draw you in. The eagle entices you to marvel at it’s refined, raw awe-inspiring natural beauty. Known for climbing to great heights to glide along the air currents of extreme altitudes in search of prey, this headpiece is suited for greatness. Can you spot the successes waiting to be plucked from the air? 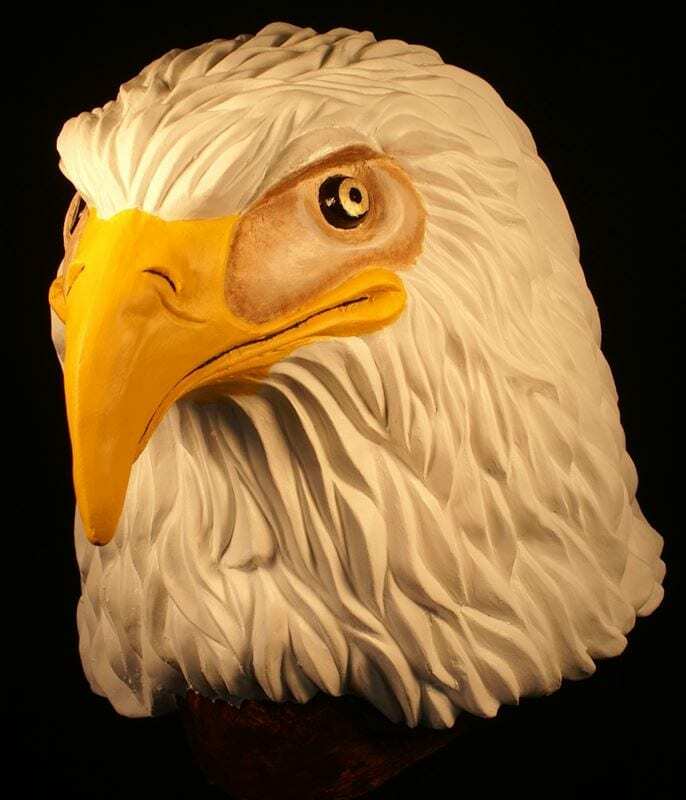 Let this Eagle guide your wings on over to the add-to-cart button and order your very own custom theater mask today. This mask head piece is designed to be worn on the top of the head like a top hat leaving the face of the wearer fully exposed.